Safety is the main thing while journeying anywhere. In France, Seashores are few as opposed to United Kingdom Seashores with life Secure Features on most beaches. At France Seashores the primary safety measure we have to take from sun warm because no bugs to bite or the water issue from harbour except on some Mediterranean sea as it is seriously risky for us. Be cautious on public beaches with criminals as robbery can happen at any time anywhere on the seaside because of no protection or security cameras. In France, Public Beaches had lifeguard on job time basis form morning 9AM to 6.30 PM from Mid June to Mid September. Out of these public beaches three are opened on weekend days for safety. Anyone easily know about lifeguard on a beach particular day by looking flag at the beach. If safety flags are hosted means it have the safety at that time. All private beaches, Restaurants have life guards on duty daily basis from Mid day to September. When we are at the beach please check the flags whether they were hosted on that day or not. These were hosted at each beach during May to September. There are five flags and hosted according to the beach system. A blue Fag means the water is clean. A green flag means Sea conditions are safe. A yellow flag means that the water quality is not good for bathing. 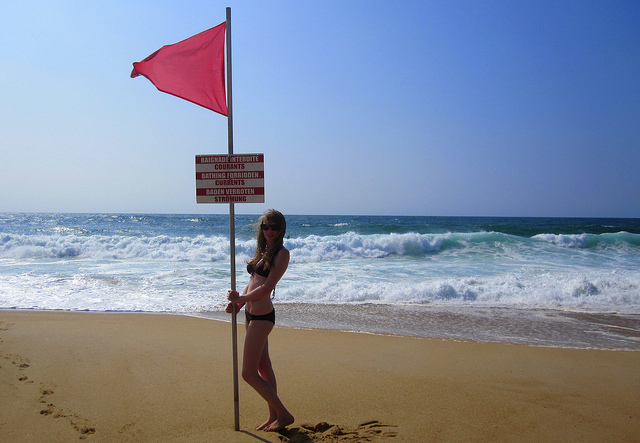 A red flag means Swimming is Forbidden. 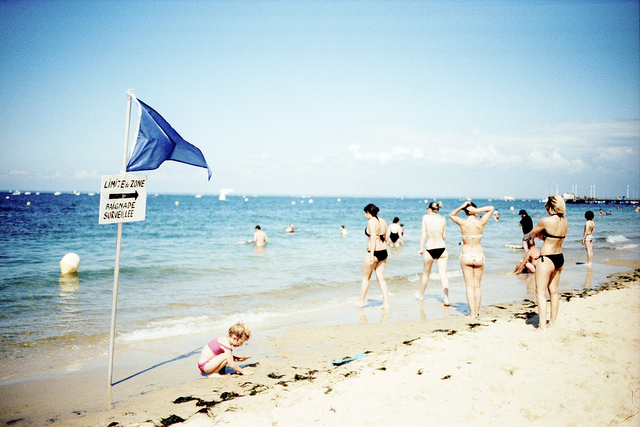 A beach that has lifeguard and first aid, host flags during the daytime. If wind are lashes up the sea and it seems distressed and risky, for Swimming.